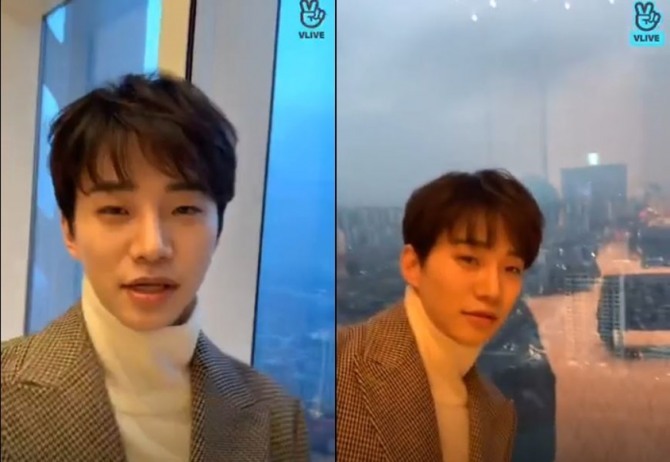 Junho of 2PM greeted fans on V Live few minutes before his meet-and-greet event. In the video, uploaded on Saturday, the singer is seen wearing a grey checked coat and a white turtleneck sweater. He then looked out the window, showing fans around the blurry landscape of Seoul. “You can see fine dust in the air outside, and thank you for coming out to see me despite the dusty weather,” he said. 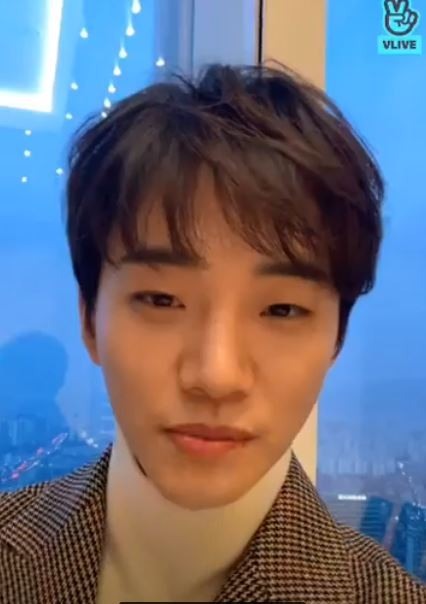 Junho spent the last three minutes of the broadcast by casually reading fans’ comments. He told fans that it wasn’t that cold in Korea and that arrived in Seoul right after finishing his shooting for a new movie at 7:30 a.m. He wrapped up the video by wishing fans happy holiday and their happiness. Junho recently dropped his second solo album “Two” on Jan. 25, which featured a total of 12 tracks, all composed and written by the singer himself.